Road Races Enforcing Bans on iPods - A Silly Rule? Road Races Enforcing Bans on iPods – A Silly Rule? There are some good rules and some silly ones. For example, rings and earrings body piercing jewelry is prohibited in the high school system. I remember a high school female long jumper setting a PB, but when she raised her arms in jubilation, she exposed her belly button naval ring, and was thus disqualified. Then there was the temporary disqualification for athletes wearing the Lance Armstrong wristbands at a recent cross country meet. Although some road races are enforcing a ban on iPods, digital audio players and other headphone gadgets for safety reasons, runners in Sunday’s ING Miami Marathon and Half Marathon won’t be penalized. Maybe you need the iPod for motivation? Heck, 26.2 miles is a long way to go. For me, anything over 400 meters, I take a taxi! For safety reasons, USA Track and Field — the sport’s governing body — prohibits the use of iPods and other headphone devices in events such as Sunday’s ING Miami Marathon and Half Marathon. Good luck getting runners to abide, though. Miami Marathon organizers aren’t planning to enforce the ban. And runners are planning to go right on listening. The year-old rule, which will be up for review this fall, has presented marathon officials nationwide with a choice because the USATF hasn’t mandated that it be enforced. Some races have disqualified runners who use iPods. Grandma’s Marathon in Duluth, Minn., has gone as far as to confiscate the devices before the race and send them back to participants afterward, a costly proposition. The 12,000 runners who have registered for the half or full marathon — which start at 6:15 a.m. at the AmericanAirlines Arena — will not have to deal with repercussions. No punishments for runners or race organizers are attached to the rule. I guess you have set the rules and boundaries somewhere. 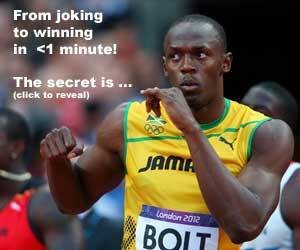 READ World's Fastest Nation: USA or Jamaica?